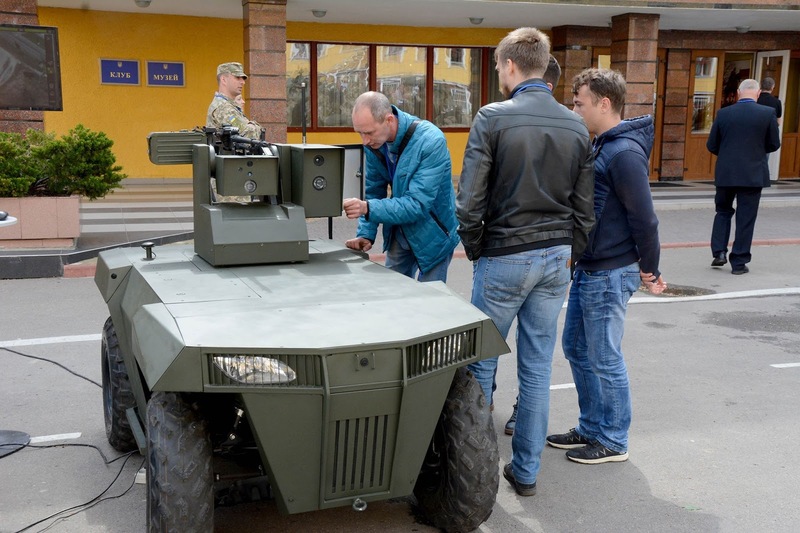 At the XI International Scientific and Technical Conference "Prospects for the development of weapons and military equipment of the Army", which took place on May 17-18 in Lviv, Infocom's Laska combat robotic platform demonstrated its capabilities. 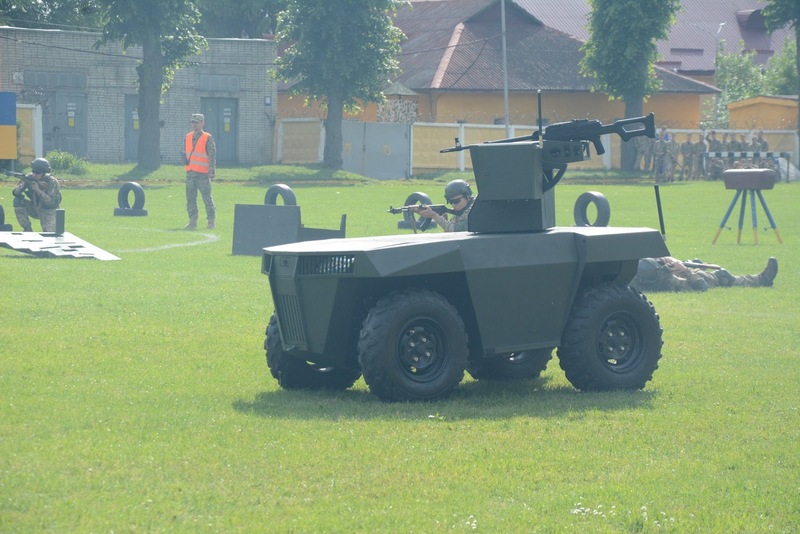 Based on a four-wheels all-terrain vehicle chassis, the Laska is designed to perform a large range of tasks: patrolling, reconnaissance, mine clearing, convoying, ammunition delivery, medical evacuation, etc. The Laska equipped with PKT 7,62 mm machine gun with 200 rounds. Optics include EO/IR cameras and laser rangefinder. The maximal identification range is 1000 m with EO/IR cameras and 1100 with the laser rangefinder. The Laska was shown during the static demonstration of military equipment, and also took part in dynamic events. The control of the leash was tested - in the conditions of electronic warfare the turret can move autonomously, pre-programmed route, or guided by a person, with the help of a cable. The main actions are carried out using a cable: turning on the engine, turning to the right / left, moving forward, moving back, stopping.